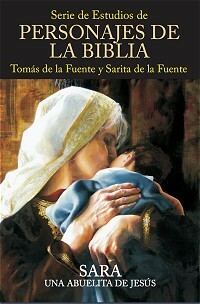 Libros de la Fuente presents a series of biographical Bible studies in modern, easy-to-read Spanish. These are the stories of Biblical characters who left their homes and countries of origin to follow God’s lead into foreign lands to settle and adapt to their new challenges. They were people like us who became the founding fathers and mothers of our Faith. Their lives inspire our own faith. Love, hate, jealousy, revenge, want, fear, anger – the same life situations that we struggle with today – were present in the lives of these heroes of faith. How each coped with these everyday but life-changing challenges, sometimes successfully and sometimes only through great trial, speaks to us across the ages in these newly released tellings of their lives, drawn from Holy Scripture. WE NOW OFFER OUR UPLIFTING BOOKS IN ELECTRONIC FORMAT TOO! First in the series SERIE DE ESTUDIOS DE PERSONAJES DE LA BIBLIA. 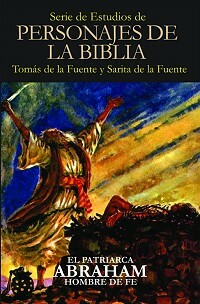 The story of Abraham in highly readable Spanish tells of the travels and challenges of Abraham and his family from Ur to Egypt and other regions until his final days. Excellent for individual reading or group study! Second in the SERIE DE ESTUDIOS DE PERSONAJES DE LA BIBLIA series. 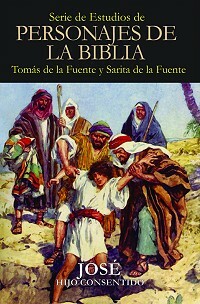 Retells, in highly readable Spanish, the amazing and colorful story of Joseph from his pampered lifestyle as a youth through his captivity and its results. An excellent choice for personal reading or group study! Third in the SERIE DE ESTUDIOS DE PERSONAJES DE LA BIBLIA series. The story of Sarah, in highly readable Spanish, retells the family’s journey from Ur to her burial in Macpelah with an emphasis on her role as “Princess” to her eventual place in the history of Jesus. (Includes regional maps.) Excellent for individual reading or as part of a group study! I find a freshness in the writing, a loving sensitivity for each and every personage, the absence of prejudices and hatreds, and a posture of compassion for the vicissitudes through which the personages pass. Human beings with virtues and defects. The reading is definitely filled with details that facilitate imagining these personages in relation to our own times. Very good questions to share with family and friends, but mostly for continued spiritual growth.